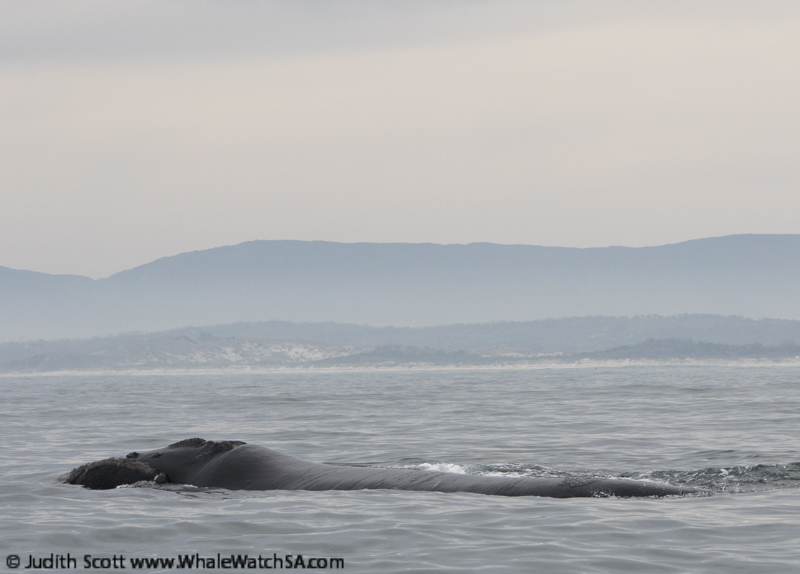 It was a beautifully calm day out on the water today and we made the most of it, going out on four tours before the weather comes tomorrow. 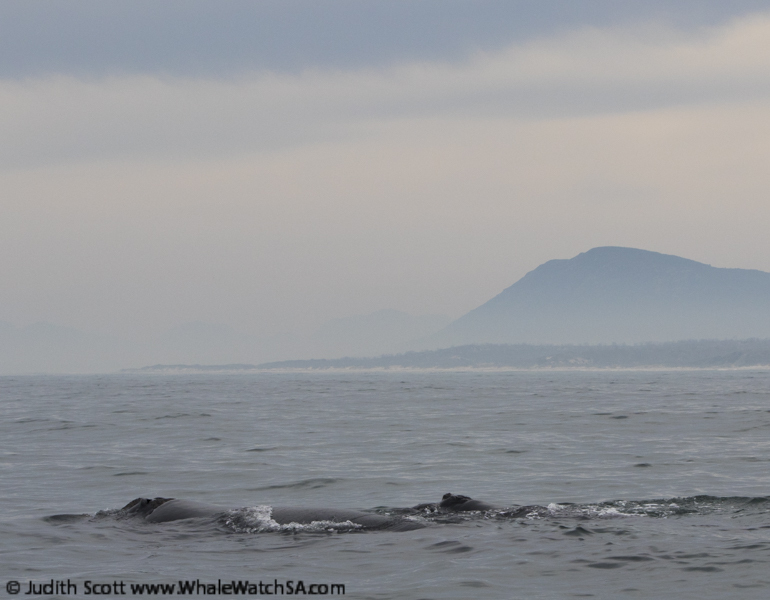 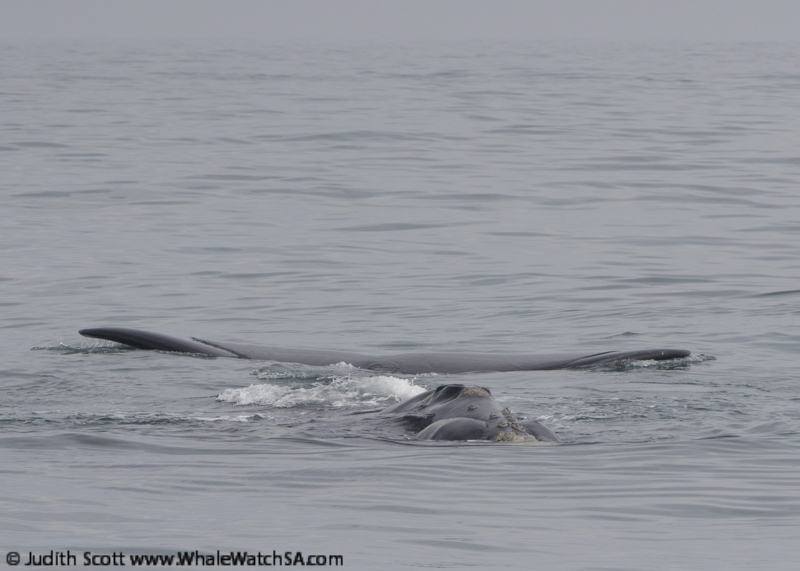 Although we saw southern right whale mothers with their calves on every tour, the whales seemed to be having a pretty lazy day. 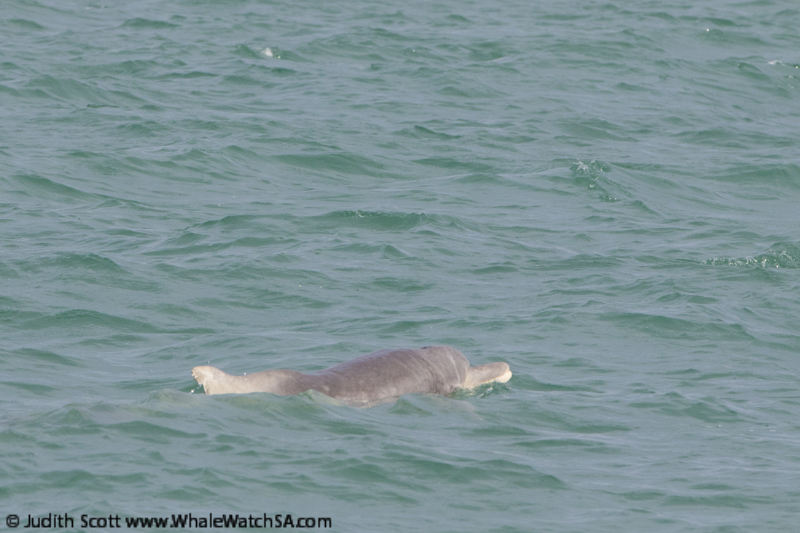 The highlight of the day on all four trips was the much rarer sighting we had of a pod of Indian Ocean humpback dolphins. 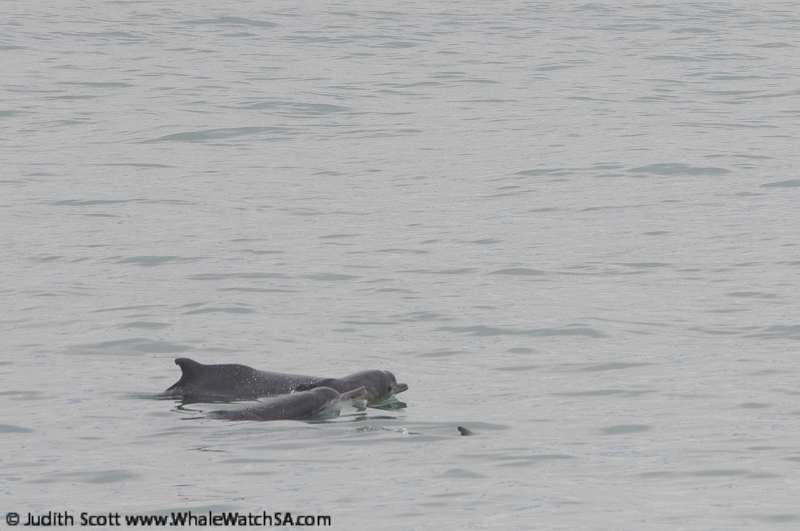 We have gone quite a long time without seeing a group of these dolphins in the shallows but we got great looks at them on every tour in the incredibly calm conditions. 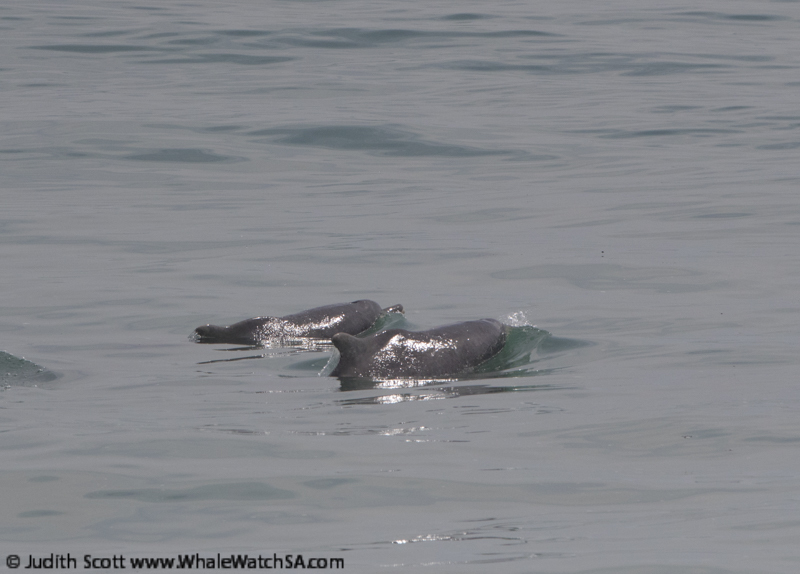 There was a young calf in the group and these dolphins are the rarest cetacean seen off the South African coast, with an estimated population of only around 500 individuals. 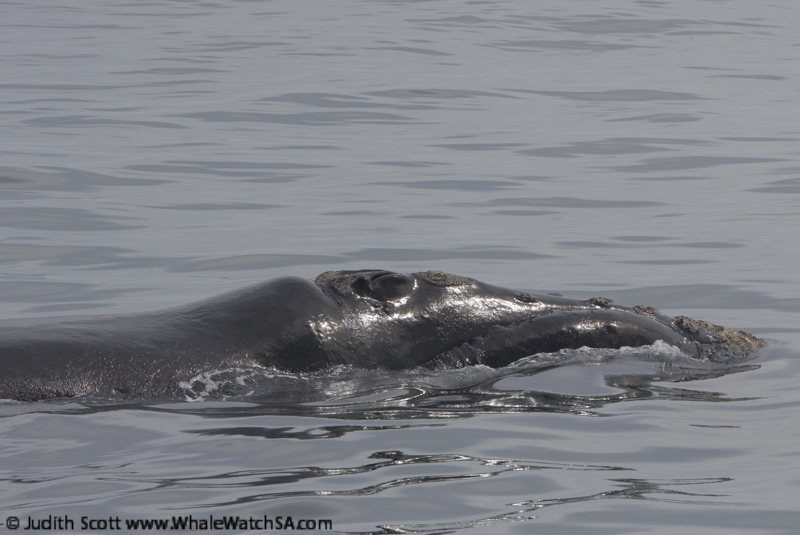 Our first trip of the day got to see a bronze whaler shark when we stopped by the shark boats, however the sharks eluded us on the other tours. 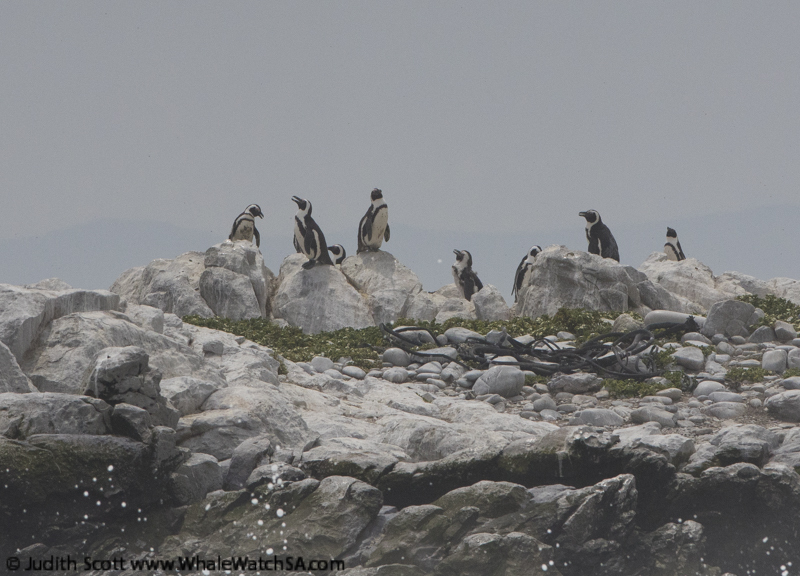 However on the 2nd, 3rd and 4th trips we had great looks at African penguins. 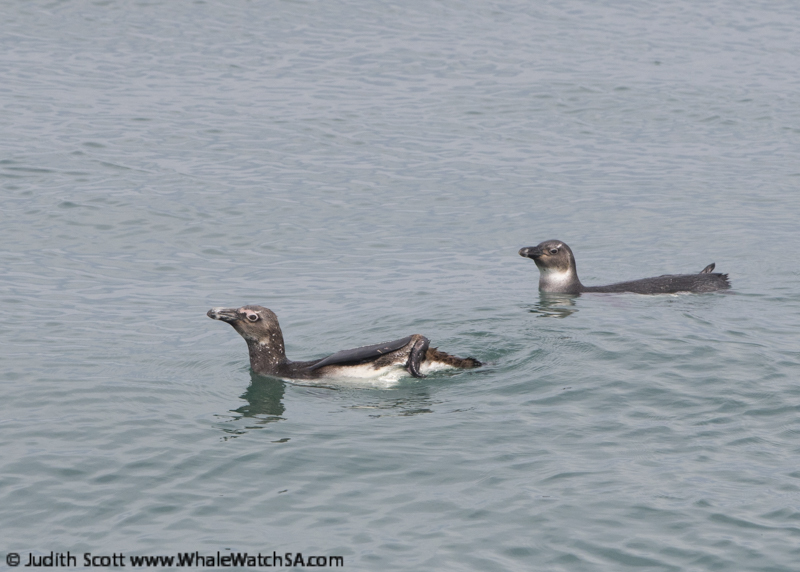 We saw two juvenile penguins incredibly close to the boat on trip two, one of the closest looks I have ever had on the water as these two birds came over to have a look at us, appearing completely relaxed next to the big boat full of people looking down at them! 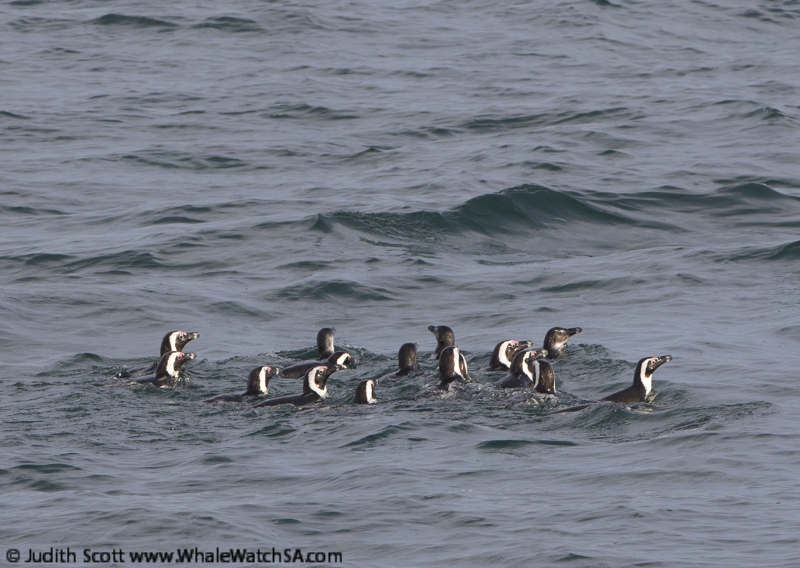 On the last two tours we got to see large rafts of penguins on the water, including one group of we think 23 birds, again an unusually good sighting. 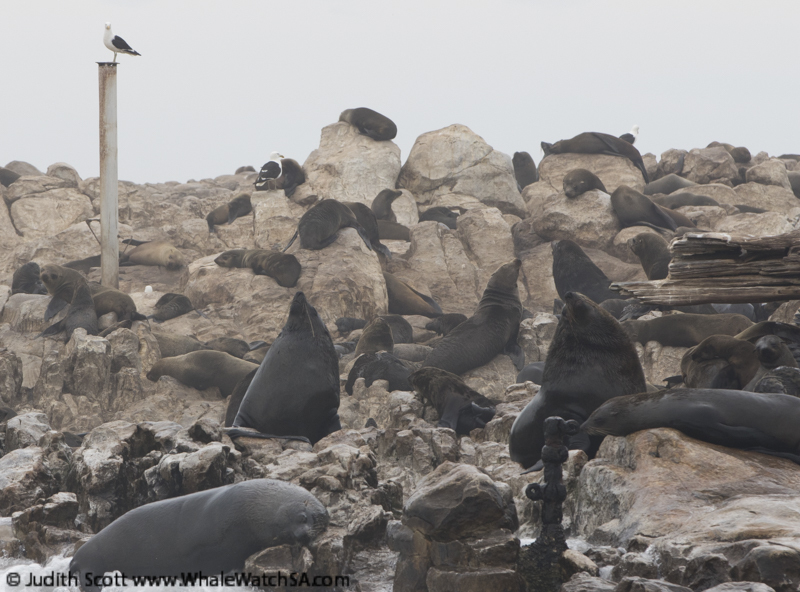 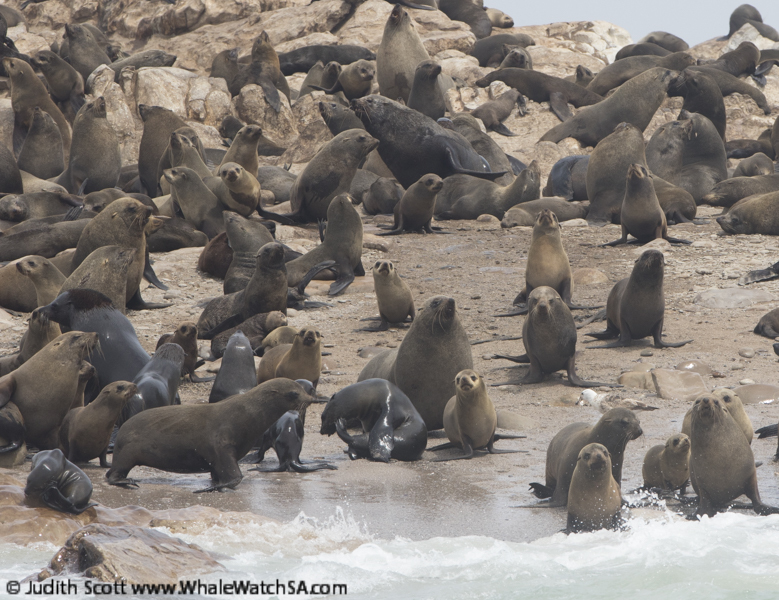 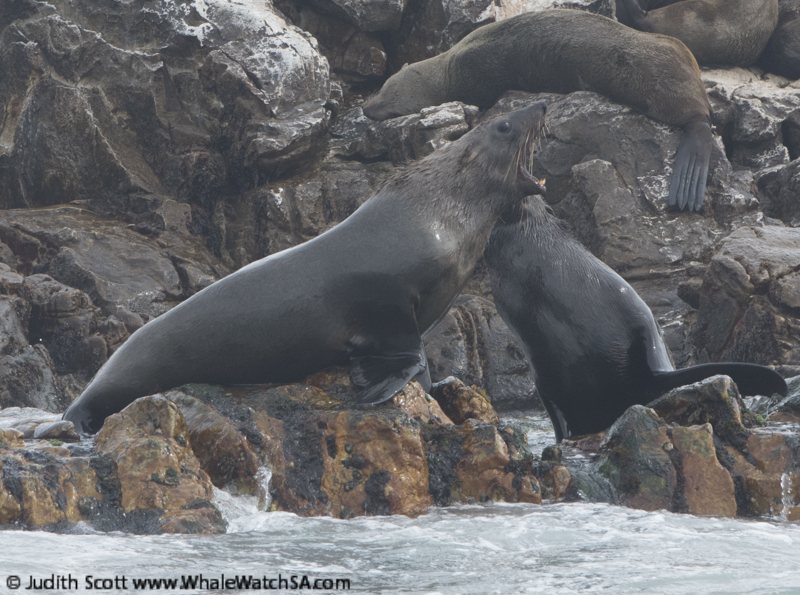 On three of the tours we stopped by our Cape fur seal colony on Geyser rock also. 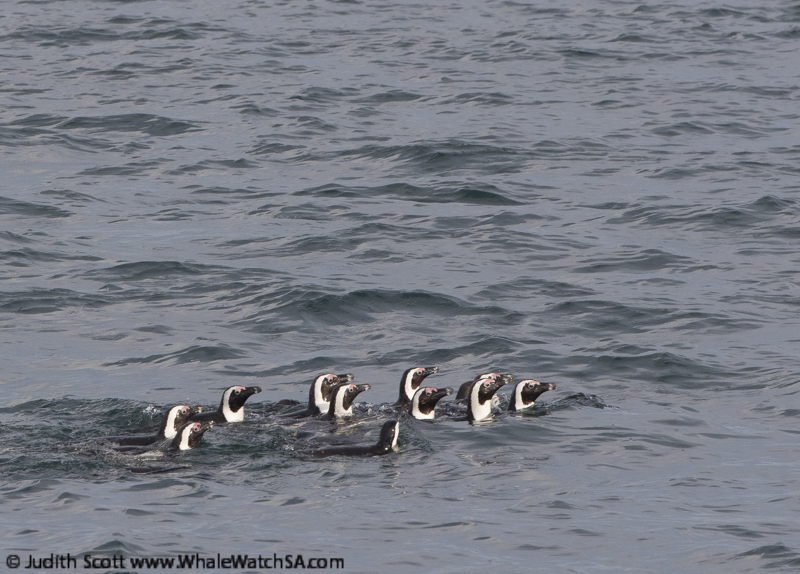 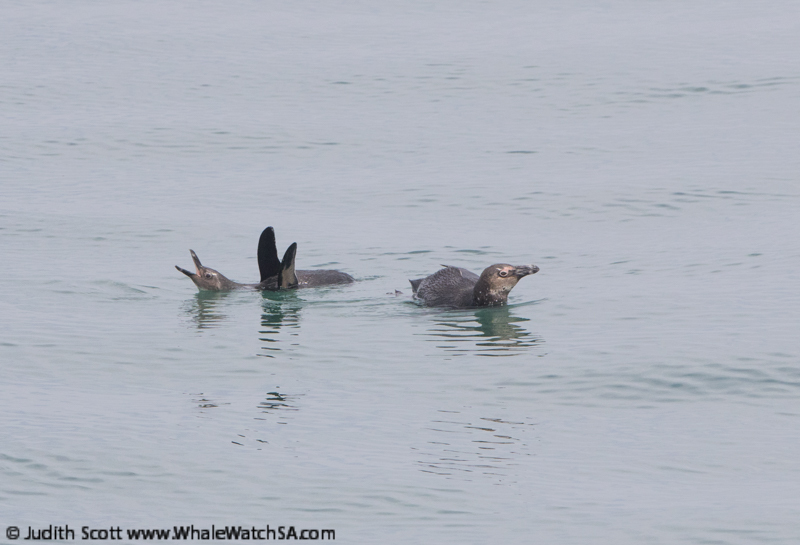 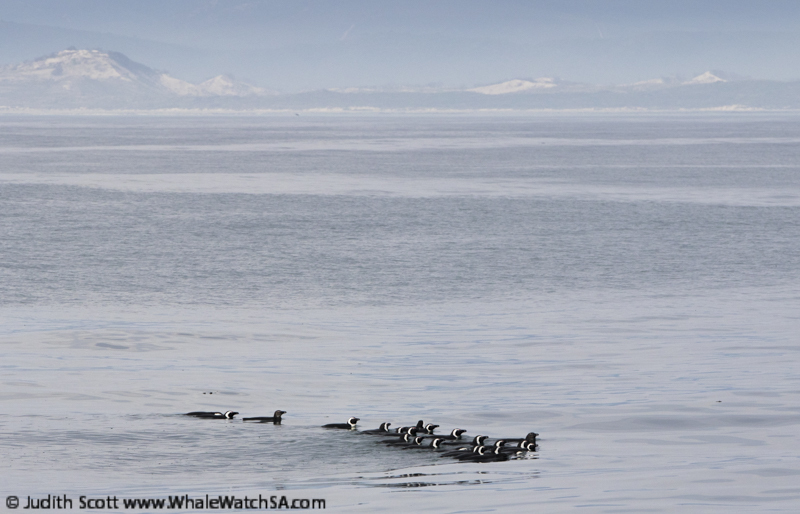 A big raft of African penguins, one of the biggest I have ever seen!